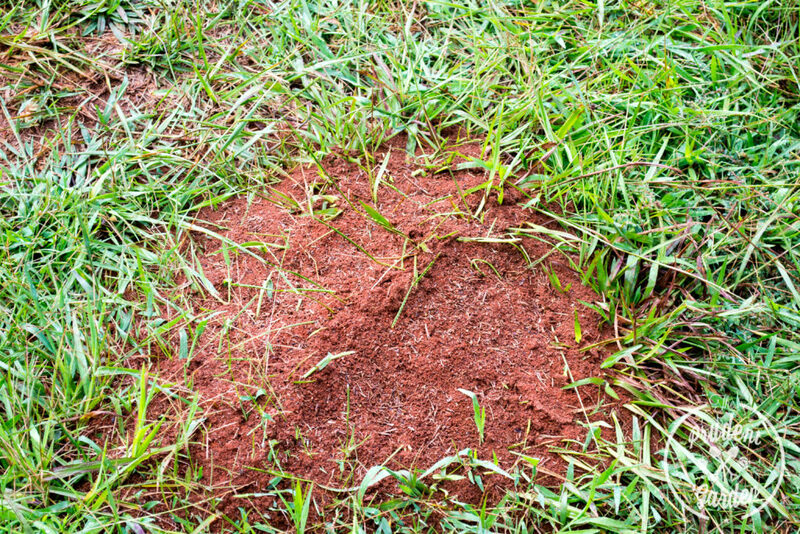 Are you and your family tired of being stung by fire ants every time you go in the yard? Well there is a GUARANTEED solution on ridding your yard from fire ants. Jack’s Pest Management specializes in fire ant treatment and eradication. We guarantee to eradicate the fire ants for one full year in the area treated. This is a proven method that we have been doing for several years with many satisfied customers. The black imported fire ant was accidentally imported from South America into Mobile, Alabama around 1918. The red imported fire ant was imported around the 1930’s and has spread to infest more than 260 million acres of land in nine southeastern states, including all or portions of Florida, Georgia, South Carolina, Tennessee, Alabama, Mississippi, Arkansas, Texas and Oklahoma . This species has become very abundant. The fire ant infestation has contributed to the decline of native quail, and the horn toad lizard. Fire ants have also been known to kill new born deer and calves by initially attacking and stinging their eyes before they are strong enough to stand up and nurse their mother. Call Jack’s Pest Management today for Guaranteed Fire Ant Eradication!